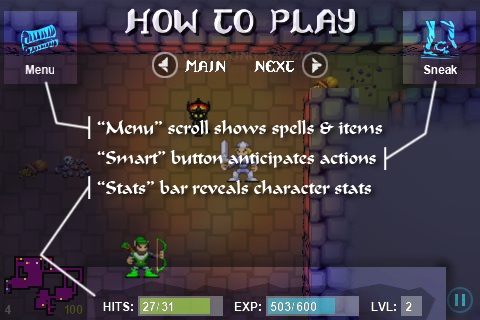 (3) Settings, which allows you to adjust the various game options, (4) Fargoal Lore, which tells the epic story behind your quest, and (5), a context sensitive option to either Fast Start a game or to Continue a game if you've come to the main menu from a dungeon. 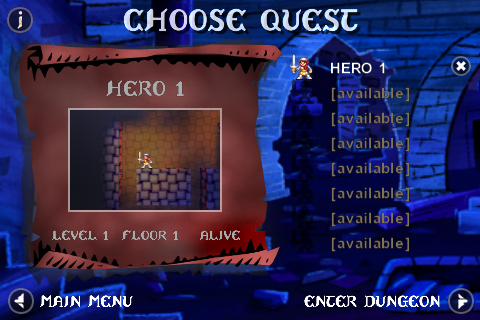 After choosing your character or continuing a game, you're brought to the current dungeon and are presented with the in-game interface. 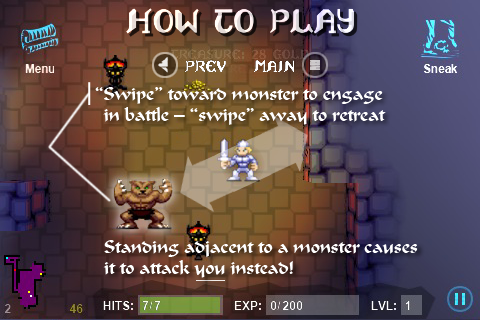 The interface is fairly transparent, leaving a large amount of screen real estate available, which is maximized by the game's use of the platform's available horizontal orientation. 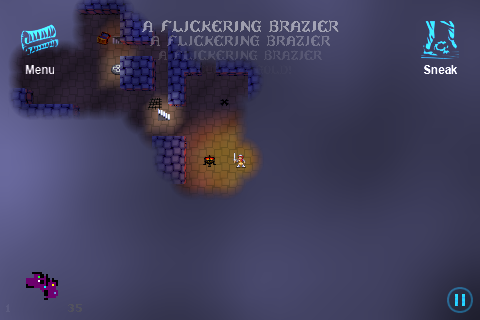 The classic game's "fog" is retained, which obscures the parts of the dungeon you have yet to walk through and may be used by monsters to attack you from. 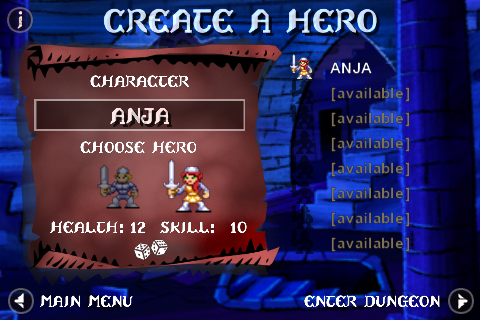 As you can see, the in-game graphical style is whimsical and, though it has obvious nods to modern day aesthetics, still retains the feel of the classic visuals. 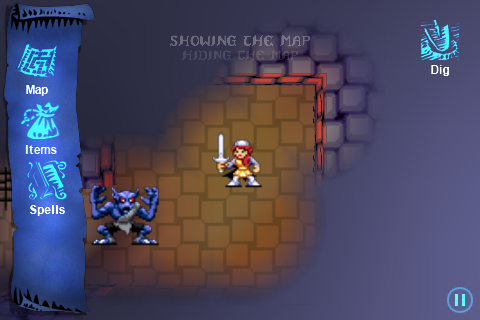 Just like the original, there is minimal animation, with your character and the monsters you encounter shown moving about by having their still picture hop to the next tile. 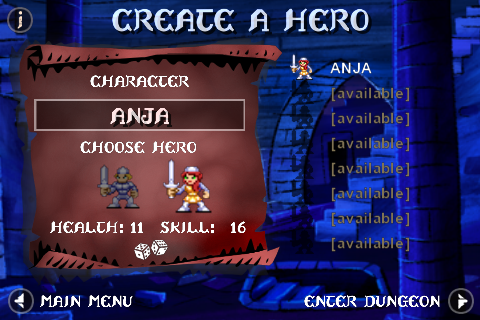 While this may seem like a downside, despite this design choice, there's still lots of personality and life to the presentation, and certainly far more than most other Rogue-style games on this, or any other platform. In short, it works for the game and I'd find it surprising if anyone saw it as a negative. 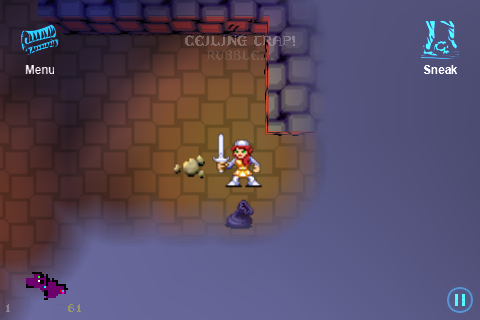 As you would expect from this type of game, you can interact with various objects, like chests, and there are interesting contextual actions to perform, such as "dig", "bury" and "sneak", as well as the obligatory spells and items, such as potions. 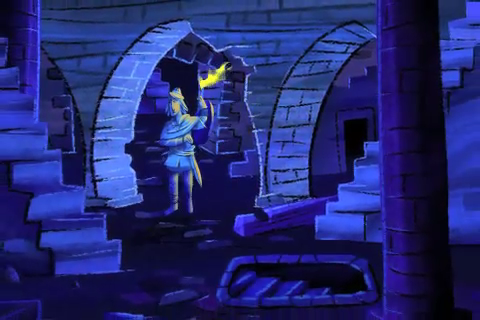 As such, you'll have no shortage of new things to discover and do as you try to make your way down through the dungeons. Since things might get confusing otherwise, the auto-map is a welcome feature, and you can zoom in and out on the main screen to help with your bearings. 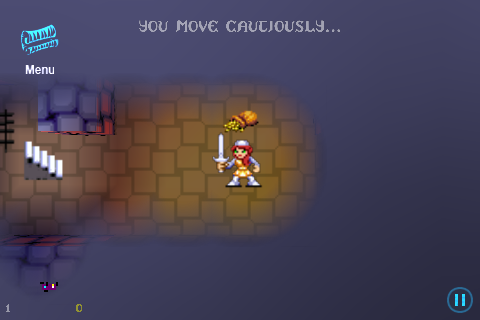 It's important to remember that real time passes even when you stand still, so you can and will be attacked by monsters if you're not paying attention or don't pause the game. 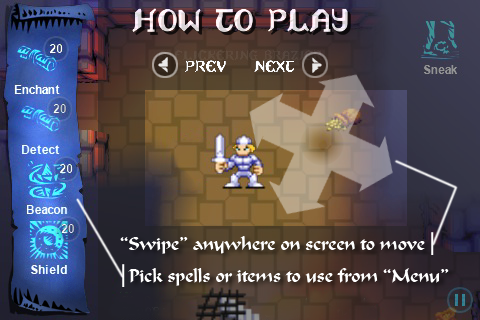 As expected, whether you have to take a call or quickly exit out of the game via the iTouch's home button, it has an auto save, so the next time you play you can pick up right where you left off (thanks again to the Fast Start option). 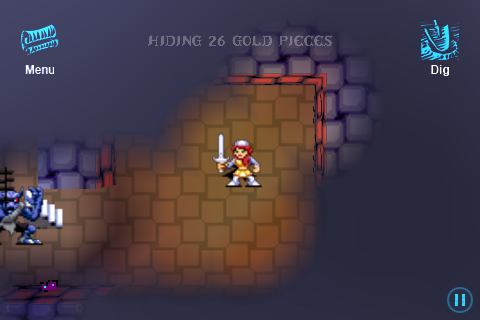 While at $4.99 it's at the middle range of the iTunes game pricing scale, it has the production values to make it more than worth it, even with the concessions made to stay faithful to the classic source material. If you're a fan of such games, it's an easy 5 out of 5 stars [(x)(x)(x)(x)(x)] . 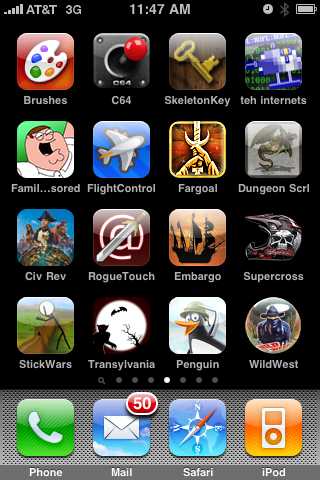 I never really see the iPhone as a gaming platform. I love obtaining apps for it and seeing what new function it could provide, but I think of other platforms when I think of games. This aside, I downloaded this game after Bill and Matt mentioned it via armchair's blog & Matt Chat. It is quite addicting. Using a touchscreen to control Pac-Man or Mega Man II becomes tiresome after a few minutes. 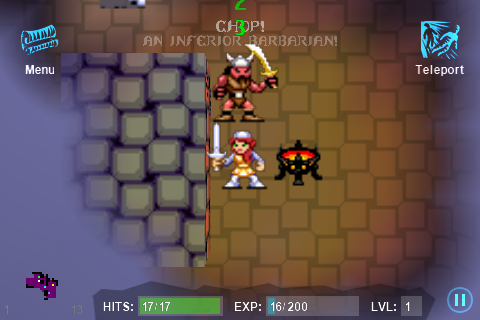 While Sword of Fargoal doesn't have perfectly responsive controls, it holds my iPhone gaming attention much longer. I believe I have died three times. The first time was one of those "let's get the hang of us" moments. You know - the first time you play the game. The second time was a "whoops." The third time was a "No way! You idiot (referring to myself)!" 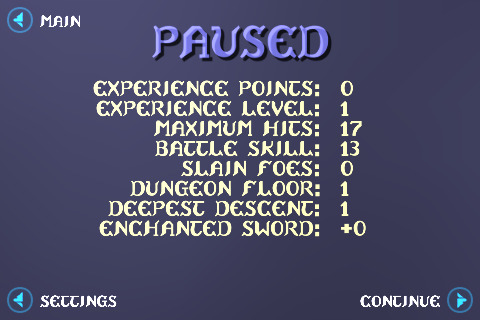 I didn't lose much gaming time at all during those deaths, however dying made it clear to me just how much you had to be aware of your surroundings, health, and inventory. 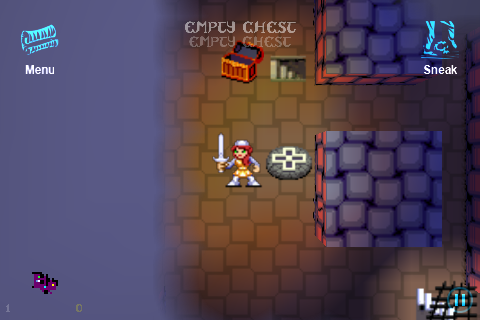 After playing it off and on the past few weeks, I have obtained the sword and attempted to ascend to the top of the dungeon. 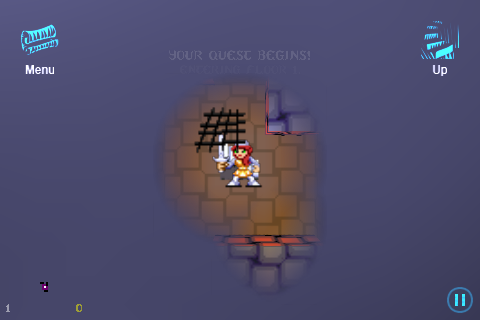 An assassin stole the sword around level 13 and started his way down. It is here that I stopped (this was two days ago). It is a wonderfully addicting game. I recommend picking it up. I like my Blackberry, but man, I wish I had gotten an iPhone. I really feel like I'm missing out! It'll probably be years before I'll be ready to upgrade, though. Hopefully by then they'll have worked out the rest of the kinks. Christina and I will be upgrading to whatever the latest iPhones are in December 2010. I would assume they'll have a replacement for the S by then. I have the model before that. Christina has a non-smart phone. There really are no kinks with the current iPhone at this point. They could certainly improve the battery life, but otherwise there's nothing that Apple really has to change. Any remaining issues are with AT&T, the carrier, looking out for their business interests. 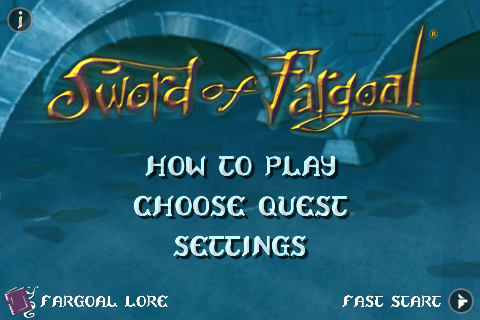 Sword of Fargoal is on sale - hurry! 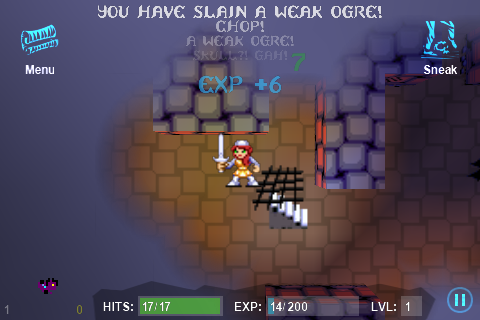 Sword of Fargoal is on sale for $2.99 for a few days on iTunes. If you want it, now's a great time to get it! The pricing is a big factor too, Catatonic. Besides all of the free and trial stuff, a lot of games are only .99. That was the smartest part of the whole thing outside of the infrastructure itself if you ask me. Yes the price of iPhone games has been trending downwards as developers find that lower prices get you to the top of the best seller lists. Though the cheapest games don't necessarily have the highest revenue in the end.